LDK Solar has inked a deal to buy furnaces from JYT, a GT Solar competitor. GT shares fall 14 percent, even though the company says the deal will have no impact on its projections. Solar-equipment manufacturer GT Solar (NSDQ: SOLR) shares haven’t had much luck since the company’s initial public offering Thursday. Shares fell 13.7 percent Friday, after sinking 11.6 percent on its Nasdaq debut, after customer LDK Solar (NSDQ: LDK) said it had signed a contract to buy silicon ingot furnaces from JYT Corp., a GT Solar competitor based in Beijing. The furnaces, slated for LDK’s manufacturing facilities in Xinyu City, China, can load up to 800 kilograms of ingots, giving them the world’s largest ingot-loading capacity, according to LDK. 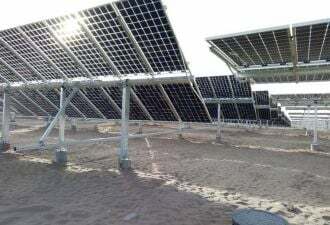 The solar-wafer company said it expects the large furnaces to reduce its electricity consumption and capital costs, increase its production efficiency and help boost its wafer-production capacity to 3.2 gigawatts per year in 2010. The deal, which gives LDK exclusive rights to purchase and use the new equipment, calls for deliveries from this year through 2010. Bob Woodbury, chief financial officer for Merrimack, N.H.-based GT Solar, said in a statement that the deal won’t impact the company’s backlog or impact its projections. LDK’s furnace order represents less than 8 percent of GT Solar’s backlog, and LDK’s total order represents less than 20 percent of the backlog, according to the statement (also see Reuters story here). Still, LDK’s decision to make the announcement the day after GT Solar’s IPO has raised eyebrows. Aside from the furnaces, LDK is relying on GT Solar to deliver polysilicon-production equipment for two planned plants, at a time when manufacturers are competing for equipment to expand production (see Solar Industry Debates Silicon Supply). LDK announced it had completed the first phase of its 1,000-metric-ton polysilicon plant earlier this month (see LDK Silicon Confirms Plant Is on Track). The company plans to build a second plant, with the capacity to produce 15,000 metric tons, using GT Solar equipment by next year (see LDK to Raise $400M). But even before the LDK news, GT Solar shares weren’t doing well. Market conditions and forecasts haven’t helped. Other solar companies that have gone public recently also haven’t done very well, he added (see Real Goods IPO Suffers From Akeena Solar Fallout). Sinosol, which sells solar-power systems, filed for a €79.2 million ($122.9 million) IPO in June, then postponed the offering later that month. A number of analysts have forecasted that supply of solar equipment will outpace demand in the next few years (see Oversupply of Silicon to Be Worse Than Expected, Solar Industry Debates Silicon Supply, Solar Sector Heading for a Shakeout, Too Much PV in 2008? and Solar Margins About to Shrink?). A few industry insiders disagree, though. For example, Calisolar CEO Roy Johnson said last week that demand is still uncertain, and could grow to use up all of the increased supply if oil prices keep rising or new incentive programs kick in (see Charting a Path to Low-Cost Solar and Incentives, Tech to Spark Debate at Intersolar North America). In any case, solar companies still are filing for IPOs in difficult market conditions (see Solar Firms Prep for Growth, Despite Stock Volatility). In spite of GT Solar’s statement that the JYT deal will not impact on its targets, Bradford said he wouldn’t be surprised if people who lost money on the news questioned the degree to which the company knew about it in advance. Public companies are required to disclose anything that would materially impact their businesses to shareholders, and investors are quick to pull out the lawyers if they feel wronged (see LDK Rises Despite Class-Action Threat and China Sunergy’s Troubles Continue). GT Solar shares closed at $12.59 per share Friday. LDK shares also fell slightly – less than 1 percent – to close at $32.09 per share.